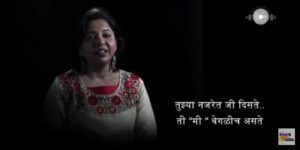 Reverb Katta’s first poetry series is titled as ‘Antarnad – The Voice Within’ where poetess Shilpa Godbole has expressed her thoughts about womanhood. Being a poet and presenting your talent was never so easy but now with Reverb Katta’s ‘Kavita’ platform you can easily publish and present your poetries in audio visual format. Less money and more popularity, well it’s sure worth a shot. So without any further ado let’s see what we have here in Antarnad. 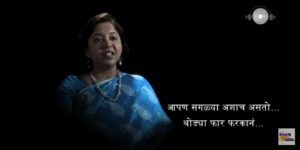 ‘Antarnad – The Voice Within’ is a compilation of poetess Shilpa Godbole’s sixteen poetries. As I said above it’s about celebrating womanhood. 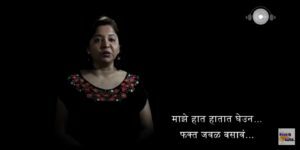 Her poetry ‘Kadhitari Vatata Na’ speaks about those feelings of love, loneliness and expectations when you need someone to hold you in your need. It’s a loving urge to that loved one to be together, to cherish, to understand. Her next poetry is ‘Aapan Saglya Ashach Asto’. 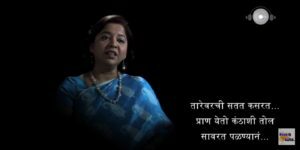 Here she speaks about the common factors of women which are actually their strength. A woman is loving by nature, she is sacrificing by nature and many qualities are equal in almost all women but with few differences. 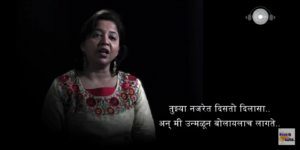 In her next poetry ‘Najret Jadu’ she tells about the mesmerizing magic a girl sees when she looks into her love’s eyes. The concept is by Shilpa Godbole. Direction is done by Abhijit Kolhatkar and direction of photography is done by Abhijeet Nag. Reverb Katta always comes up with new ideas and they believe in giving different content always to the audience. Youngsters are their big time followers and Reverb is blending very well with all kinds of content and audience. Subscribe today to watch their amazing web content. For more information visit http://www.reverbproductions.in/Kavita and express yourself. Marathi Actor, Marathi Celebs, Marathi Actors, Marathi Celebrities, Marathi Actors Wallpapers, HD Wallpaper, Marathi Entertainment Industry, M town, Celebrities, Directors, Producers, Marathi Directors, Marathi Producers, Lyricist, Screenwriter, Cast and Crew, Cast & Crew, Marathi Movies, Films, Songs, Marathi Serials, Teasers, Trailors, Trailers, Selfie Video, video profiles, Celebs Katta, MarathiCelebs.Com, Marathi Website, Film Reviews, Articles, Videos, Marathi Actresses, Marathi Actors Biography, Marathi Actresses Images, Pics, Upcoming films, Upcoming Serials, TV Updates, Film Industry, Photos, Promotions, Interviews, New Films, Selfie Interview, News, Trailers, Zee marathi, zee yuva, star pravah, zee talkies, New Release, Blockbuster, Hit Films, Reverb Katta, Abhijit Kolhatkar, Shilpa Godbole, Kavita, Antarnad, Antarnaad, Reverb Katta Launches New Platform For Aspiring Poets, Web Series, Moving Out, Twist Eat, Night Out, Poetry Publishing Made Easy By Reverb Katta, Diary, Abhijeet Nag, Antarnad – The Voice Within, Antarnaad – The Voice Within, ‘Antarnaad’ | Reverb Katta’s First Poetry Series, Antar, Me Ashich Aahe, Womanhood Celebration With Reverb Katta’s Kavita, Tarihi Kalat Nahi, Tu Waar Karat Raha, Waar, War, Vaar, Var, Najret tujhya, Najret Jaadu, Najret Jadoo, Kadhitari Vatata, Aapan Saglya Ashach Asto, etc.